Most of the time removing aggressive Himalayan blackberry involves cutting thorny canes, digging up brainy-looking roots, and suppressing regrowth with thick layers of mulch. This time of year, for just a few weeks, the work gets a little more delicious. Removing the berries from the bushes before the birds get to them and redistribute their seeds all over our parks is a tough job, but someone has to do it. It’s not out of the ordinary to get questions from residents like, “WHY would you would remove their favorite berry picking patch?” The Green Seattle Partnership isn’t just about removing blackberry, the goal of the program is to create healthy, diverse, and sustainable forests and natural areas in Seattle’s parklands. This means replacing aggressive Himalayan blackberry, which often grows as a monoculture, with a diverse pallet of plants that create a healthier habitat and allow for the growth of different plant species including trees. You can get some first-hand experience with Himalayan blackberry at a Green Seattle Partnership volunteer event, check out the events calendar to find an event near you. Do you have this plant growing in your yard? Be a good neighbor to our parks by removing it to help prevent it from spreading or spilling into the park. Learn about approaches for successful removal from the King County Noxious Weed Control Program. 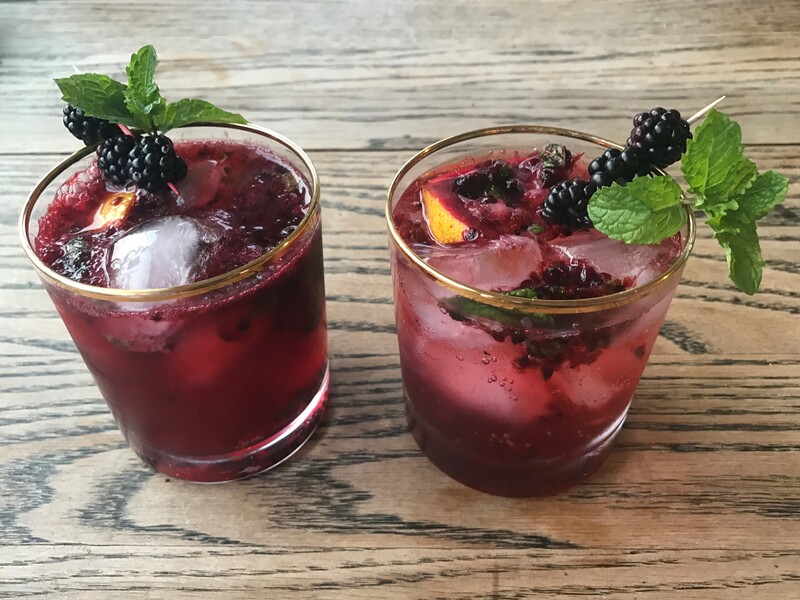 We enlisted the help of a handful of staff members at Forterra to try a few different ways to use up your summer blackberries. These guest chefs cooked, documented, and reviewed the recipes below. Bon appetite! 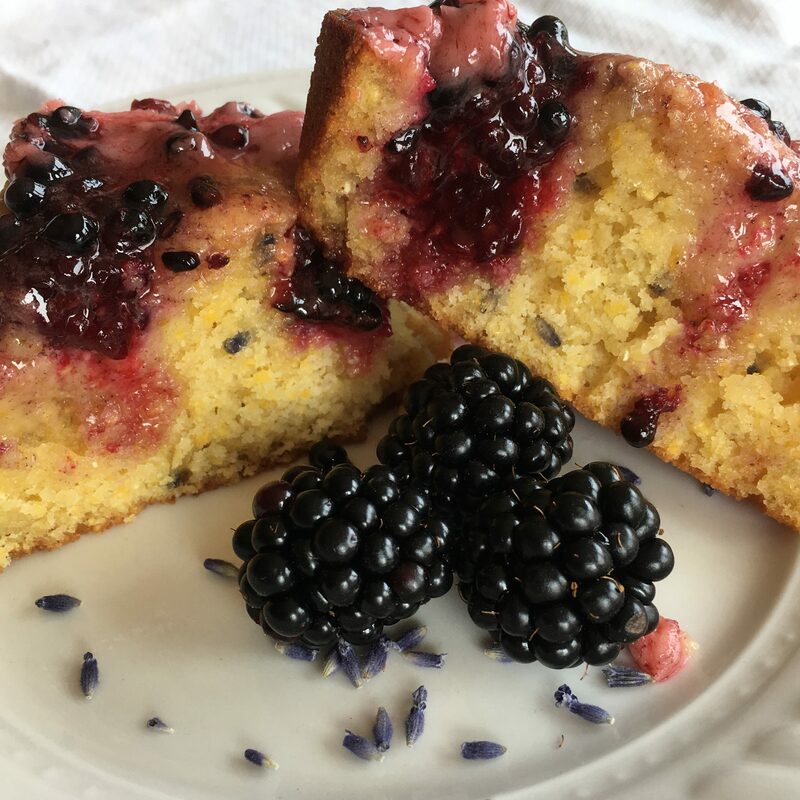 The lavender adds a floral finish to the tart berries in this sweet and savory cornbread. Double down on the blackberries by smothering the cornbread in a creamy blackberry butter. Christine found the recipe for the cornbread on Spache the Spatula, and the blackberry butter recipe can be found on Cooking for Keeps. Chef’s review: I think this recipe could be pretty forgiving and could easily be adapted to make it gluten and/or dairy free. I had several people taste test the goods, and it received positive reviews. 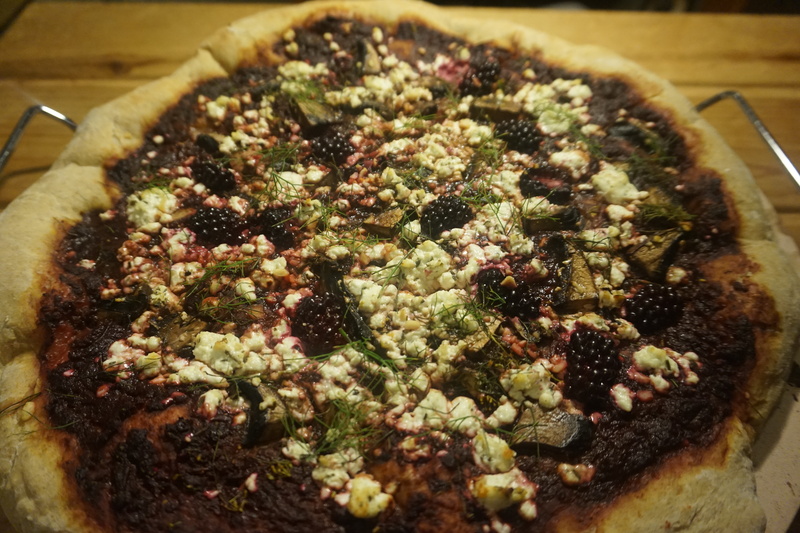 A pizza with bold flavors of not one, but two non-native, weedy plants (not sure if I would call fennel invasive, but it’s certainly not native, and aggressive) in one tasty recipe, topped with goat cheese (a nod to the goats often found eating weeds along roadsides). The pizza is on a rye dough, but any pizza dough would taste great! Alex created his own recipe for this pizza, which you can see in full here. Chef’s review: You’ll never have a pizza that tastes like this. Especially with the rye dough, the pizza is aromatic and flavorful, and can be altered to match your tastes. I had leftover sauce, and you could halve the recipe if you want to use half a can of San Marzano tomatoes for something else. Next time I would maybe use fresh tomatoes instead. Also, the dough was kind of hard to work with, and there are many rye dough recipes online that yield good results with less time/effort, such as this one. 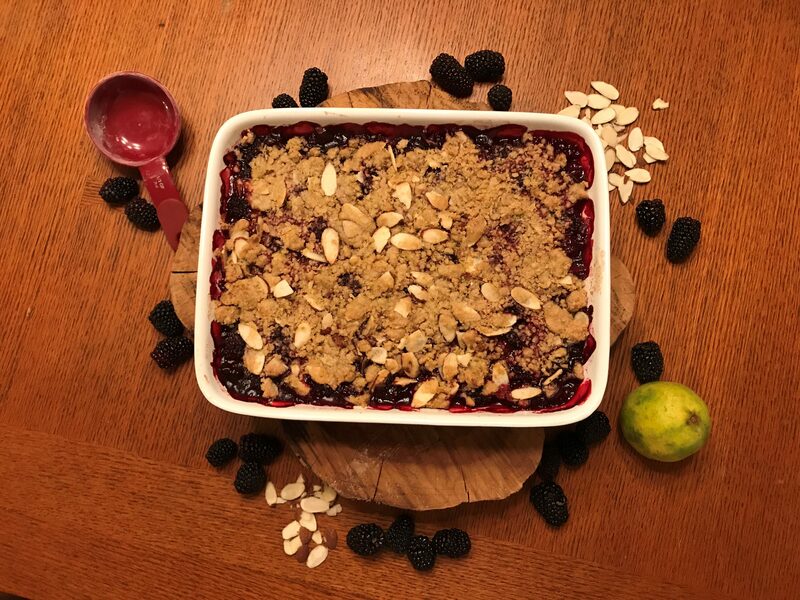 A boozey, melt-in-your-mouth, and easy-to-make take on a classic fruit crisp… sure to pair well with a margarita! We followed the recipe from the popular food blog, The Crepes of Wrath. Ingredients: Blackberries, sugar, tequila, limes, flour, almonds, brown sugar, cinnamon, salt, unsalted butter, and optional: ice cream/whipped cream. Chefs’ review: Delicious! Perfect way to use up a large quantity of blackberries. Also, it is highly recommended that you eat a few of the tequila soaked blackberries while you are cooking! Our only change would be to make sure to use almond slivers instead of slices (to get a better ratio of almonds spread on top of the crisp). **Fun tip: For an easy and less messy way to juice a lime—use tongs! Place the lime inbetween the handles of the tongs and squeeze! This bourbon-based, muddled cocktail tastes like a mint juleps with a late summer twist. Sans bourbon, it makes a refreshing spritzer. I made the recipe almost exactly as it was written from the food blog, Kitchen Swagger. Ingredients: Bourbon, blackberries, sugar, water, lemon/lime, fresh mint, soda water, and ice. Chef’s review: This cocktail was pretty good. What’s not to like? Next time, I would strain the cocktail to make the drink a little neater. Remember that our local blackberries have a lot of seeds. So between the seeds and the mint leaves there were too many particulates for my liking. For the spritzer, I would use more blackberries, and/or a splash of ginger beer to give it more flavor. Thank you very much to chef’s at Forterra who volunteered to bake, cook, and sip through these recipes. 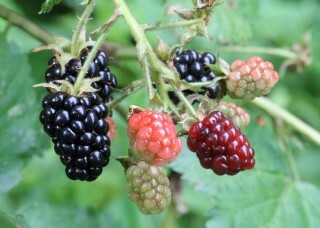 How do you like to eat your summer blackberries? Let us know in the comments below. Andrea has been working to improve the health of Seattle’s urban forests since 2008. In addition to supporting volunteer Forest Stewards, Andrea works with Seattle Public Utilities and Seattle Department of Transportation to engage the community around residential trees with the Tree Ambassador Program. In her free time Andrea loves wading through tide pools, fishing, gardening in her p-patch and sailing in the duck dodge.